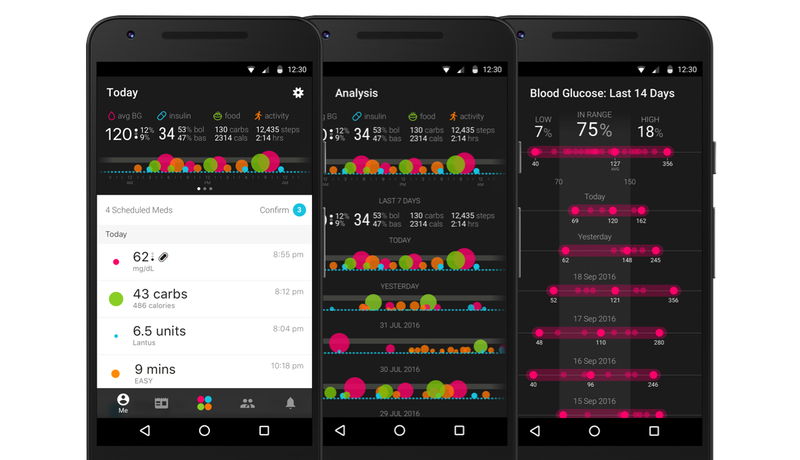 Mobile Check-Up: Are health apps replacing doctors? Do you trust your favorite health apps more than your physician? Advanced technology and a struggling healthcare system has left millions looking to smart phones for guidance. Find out what makes apps awesome and how One Drop | Mobile can help keep YOU on track & out of the doctor's office. Everyone is using health apps! Millennials and Baby Boomers alike are driving the growing demand for mobile fitness & health apps. There are more than 250,000 mobile health (mHealth) apps available. As a result, the download rate for these global mHealth apps nearly doubled between 2011 and 2015. It's not slowing down! 2/3 of all Americans say they are willing to use a mobile app to manage their health. 80% of all mobile apps are deleted after just one use! People like you are looking for quality content and a consistently exceptional user experience. So, what makes the ideal health app? First impressions are everything. An app can only affect a user's health behavior if they enjoy using it! Therefore, successful apps have a user interface that is uniquely branded and beautifully designed. A mHealth app should be easy to install and use, and should come at little to no cost to the consumer. With hundreds of thousands of options on the market, users don't have the patience for complicated apps. Quality apps are intuitive and ideally free! Many people are driven by a desire to control their own destinies and they see mHealth apps as a tool for achieving a happy, successful life. The most common motivators for using an mHealth app are tracking and reminders related to diet, medications, symptoms, and physical activity. Successful apps are constantly evaluating and meeting the users' changing needs. New features, bug fixes, and streamlining operations keep customers satisfied. Health is personal, therefore mHealth apps should include content that connects to users. Content should convey health knowledge, how to apply that knowledge, and establish a community for open discussion. Not every mHealth user is tech-savvy. Users who need help should have a place to turn to! A winning app has a friendly and knowledgeable customer support team to answer questions ASAP. In 2016, healthcare costs rose by the most in 32 years. With the prices of medications, doctor appointments, and health insurance on the rise, the public needs quality mHealth apps to stay on track. Put away your checkbook. One Drop | Mobile has your back! ✓ Sleek and modern interface. ✓ Easy to navigate, with step-by-step instructions for new users :) ✓ Frequent updates for iOS and Android. ✓ Log your daily activities, and see the relationships that food, medications, and activity have with glucose levels. ✓ See REAL results. One Drop | Mobile users have experienced 1.0% reduction in A1c in as little as 2 months. ✓ Learn how others in the One Drop community navigate their daily lives, from one good glucose reading to the next. Share your own stories and find support! ✓ 24/7 Customer Support Team to happily answer your question in 24 hours or less! What are you waiting for? Kick-start your health with One Drop | Mobile TODAY.